As we all know, successive models of the one car tend to get larger. A Corolla is now bigger than the original Crown; the new-age Mini is vastly bigger than the original; the current VE Commodore is very much larger than the first VB model. Do these people just religiously follow the upgrading in size, the upgrading in power, and the upgrading in weight? Or at some point, perhaps now with children having left the nest, do they say to themselves that the new iteration of the model simply doesn’t suit, and it’s time to get a car that isn’t smaller than their current model – it just isn’t yet again bigger. To step out of a VZ Commodore, not into a VE but into an Epica, for example. Of course when considering an Epica versus a Commodore, the enthusiasts will immediately point to front-wheel drive versus rear-wheel drive, to the Korean manufacturing source versus the Australian source, to power and torque – and to lots of other things. But, simply, for most buyers, none of that matters much. Put these people into a car and they’d be very hard pushed to work out which end was driving, and as for identifying manufacturing origin, forget it. These musings are prompted by two things. Firstly, I know a man, hale and hearty in his seventies, who has driven Commodores for as long as they’ve existed, changing them over usually every second model cycle. He simply has no need for a large car like a VE; he might have the car full to the brim perhaps only once in the whole time he owns it. He is also certainly no performance driver: like many older drivers of Falcons and Holdens, he drives with a throttle stab off the line but once moving, he’d rarely use more than few percent of the available horsepower. His driving would probably be completely satisfied with a torquey 100kW in a 1500kg car. He’d certainly never need large brakes to pull the car down to a standstill from high speed time after time, or to have body control and tyre grip allowing the car to be tossed through corners. And just last week he bought a VE Commodore, complete with 18-inch rims and huge low profile tyres. He didn’t specify the wheels and tyres: they were part of a factory upgrade package already on the car when he bought it off the floor. The trade-in was his immaculate VY Commodore. And the second thing that’s prompted these musings? 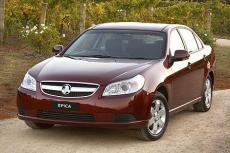 This week I have a Holden Epica 2.5-litre six cylinder on test, a press car supplied by Holden. It’s a model that the new VE owner inquired about at the Holden dealer, only to be told that they’re rubbish and he’d be much better off in a new Commodore. Anyone with the money can buy whatever car they like: it’s a free country. 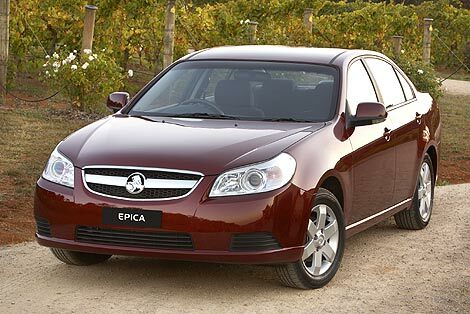 But I’d think that the Epica would suit our VE buyer’s needs and desires much better than the car he bought. It would have plenty of room for him (he’s tall and likes to stretch out), it’s refined and quiet, and in fact it’s rather more competent than the price might suggest. It hasn’t got quite the off-the-line grunt he’s used to, but by the same token, it’s still got plenty. The CDX version I am driving doesn’t have a trip computer, but then again the new VE buyer didn’t know how to operate the trip computer in his VY…. The changeover would also have cost him a lot less (like, enough difference to fund an overseas trip…), the fuel economy of the Epica would have saved him money long-term, and he’d more easily have fitted the Epica in the tight spaces he frequently has to negotiate. He drove the press car Epica for a very short while the other day. And did he then pour scorn on it, saying that he was so glad that he’d bought that king of cars, the Commodore? In fact he didn’t. 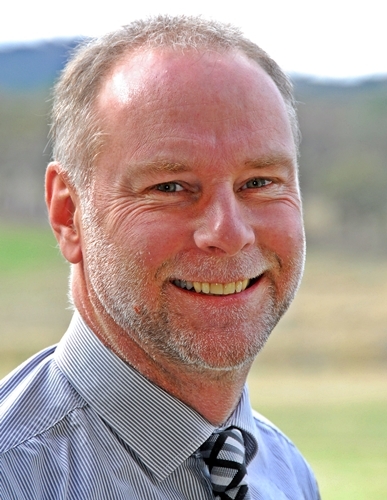 Instead he was angry at the Holden dealer that had sold him into a much more expensive car, one with tyres each having a replacement cost approximately three times his off-the-cuff estimate. At minimum he should at least have taken the Epica on a long test drive. But it’s not the dealer’s fault – I am sure our buyer wasn’t at all hard to persuade that his destiny lay in another Commodore. In fact, I think our VE Commodore buyer will be quite happy with his seventh or eighth Commodore. Car makers generally make their cars a little bigger in each new body generation, to keep in step with the aspirations of customers. The thinking is ( for example) that the 20 year old who buys a Corolla will perhaps have a baby the next time he/she buys in 5-8 years time. This reinforces “brand loyalty”, as the person will stay with the model if he/she is happy with it, and it suits their purposes. It is also a reason that car makers track the age of their buyers. If the demographic is getting older, it means that younger buyers are not attracted to the car, but also the older buyer will get to a point where his/her needs change. At this point the buyer may completely reevaluate the brand/model they buy, and all “brand loyalty” bets are off. Some interesting points but remember that the reason the current Falcon and Commodore are so big is because cars like the Camry, Mazda 6 have got bigger so to avoid being in that category they have had to get larger. Also remember that the VB-VL Commodore were a flop against the bigger XD-XF Falcon and the downsized AU was a flop against the VT. The current Falcon and Commodore are good value and only use slightly more fuel than the mid sizers and offer better performance, towing, space etc. I buy Falcons because they are extremely good value for money (shop an AU against other cars the same price) and from a performance viewpoint offer rear wheel drive and engines with offer great bang for the buck when modifying compared to imports the same price. Even a base model Falcon does low 15’s stock and a XR6 Turbo with 3 grand of mods will push 300kw plus and do 13’s. Cars are getting bigger, fuel price is going up (forever), average occupancy is 1.6 people per car, I’m sure average distance travelled would be well under 150km/day for most people (being as +90% live in cities). So why do people by big cars? I think for ford and holden owners it generally is brand loyalty and group psychology. However I have found that when most people consider their actual requirments and do a proper comparison of the available vehicles that meet their needs most find the smaller, more economical vehicles become more applealing. Hence why Toyota is expanding and ford + GM are not. As a pommie subscriber, and ex-NZ resident, it amazed me how many people in Australia and NZ would ordinarily drive around in huge, gas-guzzling V6 and V8 cars. OK, there’s less space in the UK and fuel costs lots more, which is one reason why we drive smaller cars. However, the small car market is highly competitive in Europe leading to large investment by manufacturers in this market segment and hence many talented cars are available here and, surely, in Australia. Try a Ford Focus, a VW Golf, or a Vauxhall (Holden) Barina – you might find downsizing isn’t such a disappointment after all. At some point in time in the nearish future Sydney we’ll be like London. Firstly, what we pay in $s they pay in Pounds!! Secondly, There’s nowhere to park, well there is if you want to pay alot of money! So most passenger vehcles in England are shoe box size. The problem with small cars is you don’t have a big car if you need it. The local hire car place isn’t usually a hop, skip & a jump down the road when a larger vehicle is required. Once again refering to London, their tube system shits all over our trains. Fix our citys’ transport infrastructure (roads and rail, monorail or otherwise) fix our transport infrastructure. Then maybe we won’t need to have these discussions/arguments about big or small and FWD/RWD/4WD/AWD.